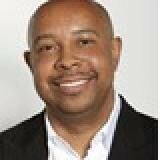 Mr. Derrick Walker is the CMO of DXL Group formerly known as Casual Male Retail Group. In his current role, he is responsible for branding, marketing, visual merchandising and e-commerce. DXL Group is a $400 million big and tall retailer with over 350 stores nationwide. DXL is currently in the midst of a complete brand transformation as they close all of their Casual Male stores and open more of their new DXL retail concept stores. The idea is to create a new business model that is brand focused, emotionally connects with customers, omni-channel in focus, and delivers significantly higher sales and profitability. Mr. Walker has a unique balance of brand management and business analytics experience that he leverages to drive greater customer affinity and loyalty. His engineering background provides him with a unique perspective to examine business problems from an analytical viewpoint and with his creative acumen, he has developed retail marketing campaigns that connect with consumers on an emotional level while driving omni-channel transformation. Most recently, Mr. Walker has done this at retailers like Lenscrafters where he was able to maximize the long-term value, equity and performance of the LensCrafters brand by developing holistic customer communication strategies. At Finish Line, Mr. Walker developed and executed new brand strategies that solidified the brands identify, ushered in a new customers that were underserved, and heightened the awareness of the brand. In summary, Mr. Walker’s unique experiences have improved various retailers’ brand strength and identity while simultaneously growing sales and profitability. His presentation will showcase the tools of the trade and some innovative approaches that illustrate how effective omni-channel experiences can deliver dramatic results. DXL Group is doing innovative work in Omni-Channel. Last year they launched StoreNet which gives their online customers access to all of the their inventory (even at the store level). In May they will be launching buy online and pick up in store same day. Their business results achieved so far are noteworthy – Derrick will walk you through their omnichannel journey in this keynote session. The retail landscape is changing so rapidly, that the lines are blurring between online only and brick and mortar. Heads of Marketing, Ecomm and Digital, all with extensive multi-channel backgrounds, bring years of expertise to eTail. They’ll talk about what works in omnichannel today and tried and true methods to compete.